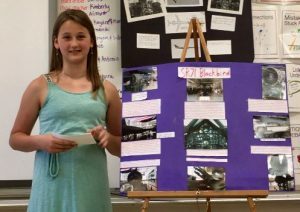 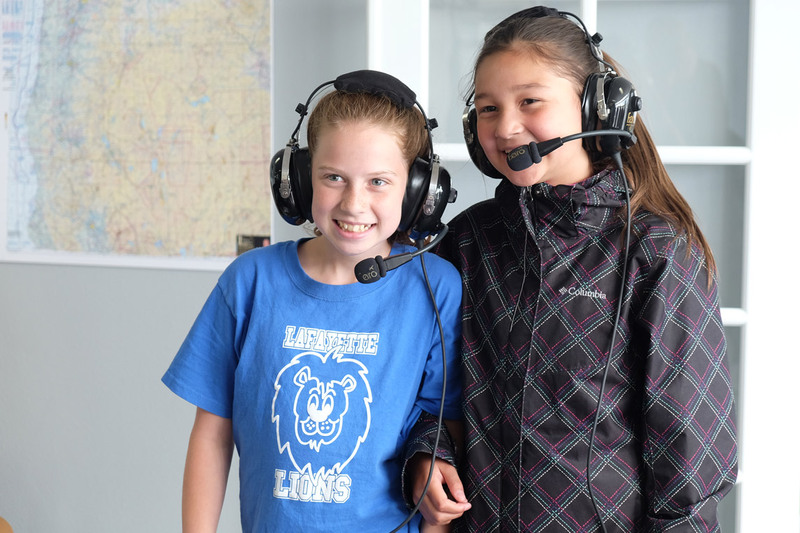 An end-of-year fifth-grade aviation research project at Lafayette Elementary School gives students an incentive to work extra hard. 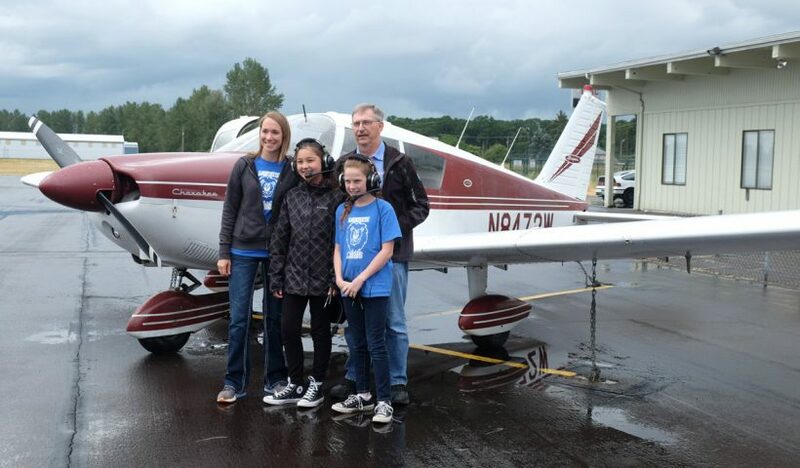 Each year, two students with the best presentations win a flight in a small aircraft. 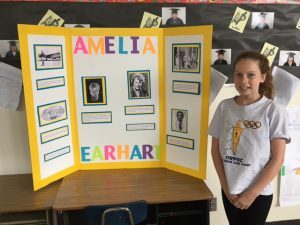 This year, the winners were Julia Gonzalez, who wrote about Boeing 777, and Kiersten Bell, who wrote about Amelia Earhart. Two runners up did not go on the flight, but they did join the group for a post-flight lunch at Red Robin. They were Alayna Peterson Estes, who wrote about the SR 71 Blackbird, and Makenna Smith, who wrote about the B17 Flying Fortress. The class is taught by Staci Larson. 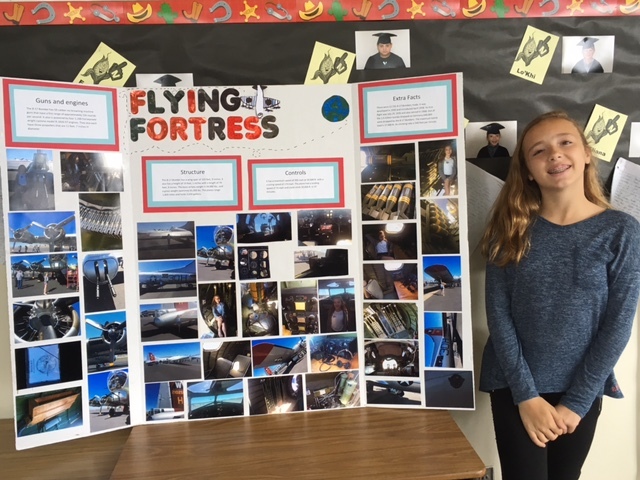 Research topics can be anything related to flight, and the lesson includes a field trip to the Evergreen Aviation Museum in McMinnville. 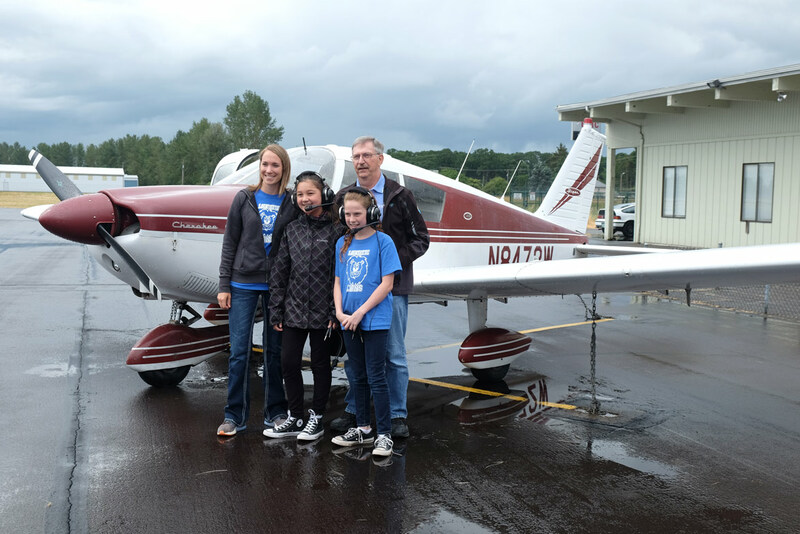 The flight was piloted by local pilot Robert Lind.